"MERCATINO DELL'ANTIQUARIATO E COSE D'ALTRI TEMPI": A TALE FROM THE PAST A tale from the past..an event of cultural exchange, where you can go back through your memories. 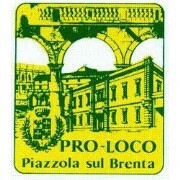 The "Market of Antiques and Things from the Past" of Piazzola sul Brenta is an exhibition that encourages moments of cultural exchange related to the history of the objects present in more than 800 stands, which the staff of the organizing association Pro Loco carefully selects to maintain the quality of the offer. Come to visit us and discover the things from the past! The Market of Antiques and Things of the Past is held on every last Sunday of the month. It begins at dawn and ends at dusk.